Mitsubishi L200 is well-positioned in the mid-size pickup truck class and it can tow as much as the class leaders while is also capable off-road thanks to the sophisticated four-wheel drive system. The model impresses also with the strong low-end torque and has plenty of refinement inside the cabin as well. 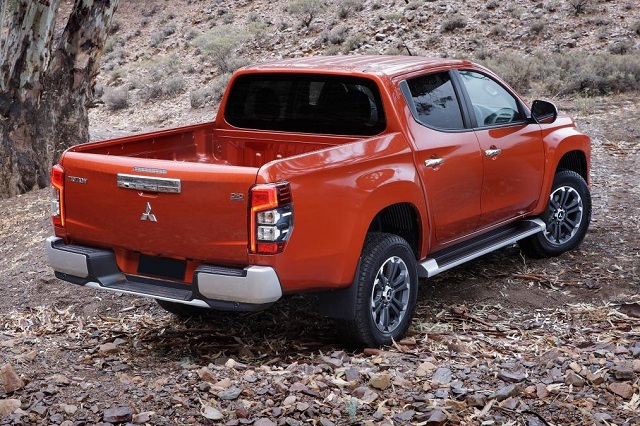 Mitsubishi refreshed the L200 for the 2019 model year and it was the part of the Drive for Growth strategy which promises 11 updated model by the end of 2020. The current L200 is more aggressively styled than before the mid-update and offers now an array of advanced safety features. There was also some suspension, braking system and four-wheel drive system upgrades for the recent refresh and there won’t be major interventions on models design and performance until the next redesign. The 2020 Mitsubishi L200 will stay in the same form as the current version but the brand could bring a new specially-styled and equipped version. New color and wheel options should also appear and more options should be available in lower grades as well. The popular Mitsubishi L200 has a more masculine appearance thanks to the recent refresh and adoption of the “Dynamic Shield” design. With that move, Mitsubishi brought the model in line with the brand’s modern SUVs including ASX and Shogun Sport. It was unusually extensive mid-cycle update with most changes on the front side. The model has the brand’s new-design grille combined with slim-line headlights and both headlights and hood are positioned higher after the last refresh. Defining the appearance of the Mitsubishi L200 are also the squared-off fender arches and large rear overhang. The tailgate has also the recently restyled taillights. The 2020 Mitsubishi L200 will stay familiar from the visual perspective and appear with the wheel options ranging from 16 to 18 inches. New body shades should be available for the new model year and Mitsubishi could also offer a new uniquely styled, possibly off-road-oriented version. The design of the model’s interior is the form from the start of the current generation for 2015 and that hasn’t changed much for the 2019 update. The mid-update brought more soft-touch surfaces, updated infotainment system and rear, roof-hinged air vents for the last update. The 2020 version will continue with the same interior design. The base L200 will come with the 6.1-inch center screen and smartphone support. It will also use fabric seats and vinyl floors, air conditioning and a rearview camera system. The upgrade to 7-inch-based infotainment system will be available as well as dual-zone climate control, more speakers, premium upholstery, heated seats and steering wheel, etc. The truck won’t also lack sophisticated safety systems. The equipment list will include blind spot monitoring, front and rear collision mitigation, lane change assist, surround vision system, and miss-acceleration intervention. The 2020 Mitsubishi L200 will continue to rely on the same engine options and underpinning. Mitsubishi updated the model with the new shocks, springs tuning, and larger brakes for the last mid-update. The model will use a refined and potent 2.4-liter variable turbocharger geometry four-cylinder turbodiesel engine with low-end torque capability. The engine will work in the combination with the six-speed manual transmission or six-speed automatic. The output should remain the same with 179 hp from 3500 rpm and max torque of 420 Nm available at 2500 rpm. The fast-selling truck will also bring two four-wheel drive systems including Easy Select and Super Select 4WD. The Super Select version uses a rotary dial to switch between rear- and four-wheel drive while on the move. The system fits the power, suspension and brakes to road conditions by covering sand, gravel, mud/snow, and rock modes. Adding to the model’s ability are also hill descent control and rear differential lock for conquering the off-road trails. 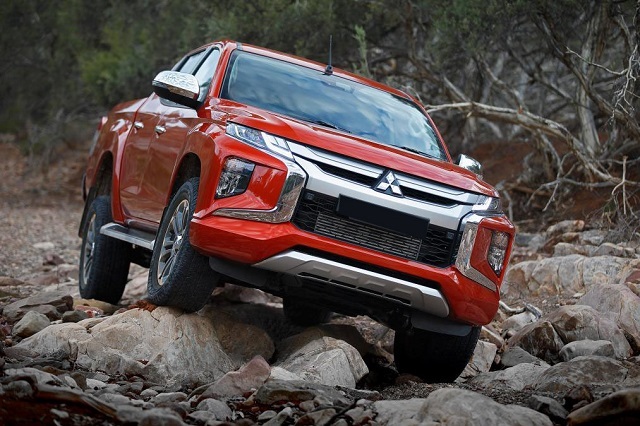 The 2020 Mitsubishi L200 will challenge other mid-size versions such as the Nissan Navara, Ford Ranger, Toyota Hilux, etc. The model will be available in a number of body styles and trim versions. The arrival of the model is expected in 2020 and the price should stay close to the current range. The base model should cost around £20, 000 in the UK. More options will lift the price up fast.